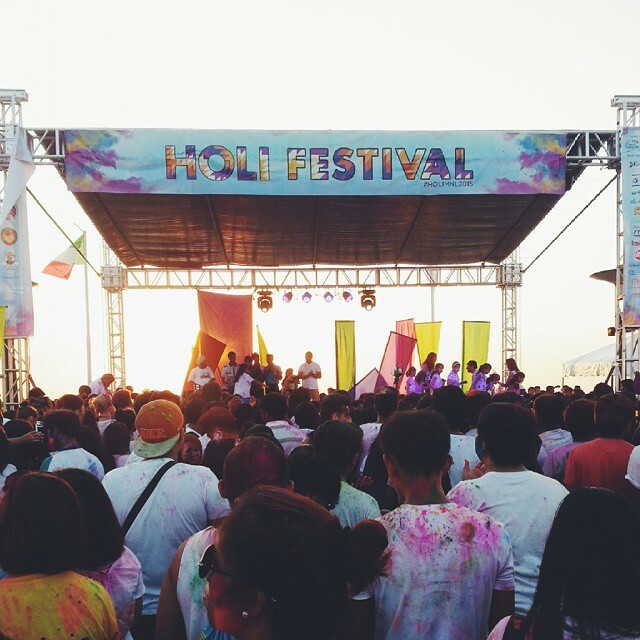 Colorful powder was thrown and sprinkled across Manila skies last March 1, 2015 for India's Holi Festival. An afternoon ('til night) celebration of music, dance, laughter and food (yay Indian chicken samosas and kebab!) signaling the end of winter and the beginning of spring. The Holi Festival is observed in India and other regions that are predominantly Hindus or significantly, people of Indian origin. And it's recently spread to other parts of the world as a celebration of love, new hope and joy. Much like Pinoys taking part in the Chinese's Lunar New Year festivities, the Holi Festival aims as well to strengthen our harmonious bonds with our Indian brothers and sisters here in the Philippines. Check out this ~3-minute video that Ian made summarizing our experience! Holi Hai! I'm so sad I found out about this 2 days after it happened!!!!!!!! Fun, fun, fun! Wish it could happen in my country! I'm sure they'll have another one next year. It was really fun!